Re-read the text from last week. I’m going to look for a job. Maybe as an aupair, looking after children. And I want to improve my English too so I can get a better job when I go back home. I hope I can find some work quickly because I don’t have much money. Yes, it is. I’m really looking forward to living here but I’m a bit nervous too. Six months or a year. It depends on how things go. Yes, I have a friend who’s working here in a restaurant. I’m going to stay with her for a few weeks until I can find my own flat. A family reunion. Jonathon, 35, just arrived from Melbourne, Australia. I’m going to see my dad in Wales. In’s his 70th birthday tomorrow. No, it’s going to be a big surprise for him and it’s going to be very emotional for me too. I moved to Australia in 1990 and the last time I saw my Dad was five years ago. It’s too expensive to visit fer often and my father can’t fly because he had a heart operation last year. By train. All the family are waiting at my parents’ house. We’re going to have a big party there tomorrow night. Are you going to stay for long? Yes, for a month. It’s too far to come here for a short time. On their honeymoon. Maki, 25, and Koji, 27, from Nagasaki, Japan. We’re on our honeymoon. We got married last Saturday. Where are you staying in London? We’re staying at the Hyde Park Hotel. We’re just here for a few days. Everything is organized for us. Tomorrow we’re doing a tour of London on a double-decker bus, and in the evening we’re going to see a show. On Friday. We’re going to Paris next and then to Rome. Find the verbs look forward to, look for and look after in the text. Try to understand their meaning from the context. 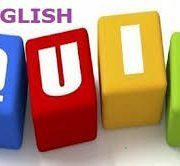 Select the correct verb to match the definition. 3. be responsabile for or take care of something or someone. Insert the correct preposition forward to, for or after. 1. 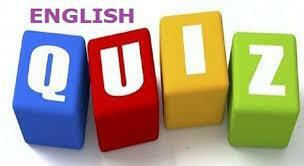 A nurse is a person who looks ____________ people who are ill.
2. I can’t find my keys. Can you help me look ____________ them? 3. Our house is a bit too small. We’re looking _____________ a new one. 4. I’m not looking _______________ the exam – it’s going to be very difficult. 5. She’s going to New York next month. She’s really looking _____________ it. 6. Could you look ____________ our dog this weekend? We want to go away. Thursday 22nd November was Thanksgiving in America. Watch the video and complete the answers. If yo uare not sure of an answer you can go back 5 seconds at a time.